Fans are filing in and players have taken the field. The #Vikings game is still set for a 7:06 kickoff. You can also follow along with tonight's game via GameCenter with our radio broadcast! 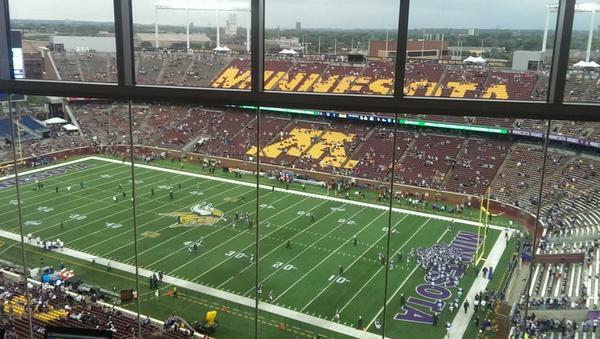 #Vikings to receive the opening kick-off. Joseph, Floyd, Fusco and Wallace are the captains. OAK wins the toss and they defer. Berger in for Sullivan, McKinnon in for Peterson w/ #Vikings ' starting offense. A penalty keeps the #Vikings drive alive and will have a first down on their own 26. Just enough to get by! @MrInkredibleXII gains 5 yards on third-and-5 for another #Vikings 1st down! Rudolph and Wallace with drops on Vikings opening drive. Nothing wrong with that pass to Wallace. 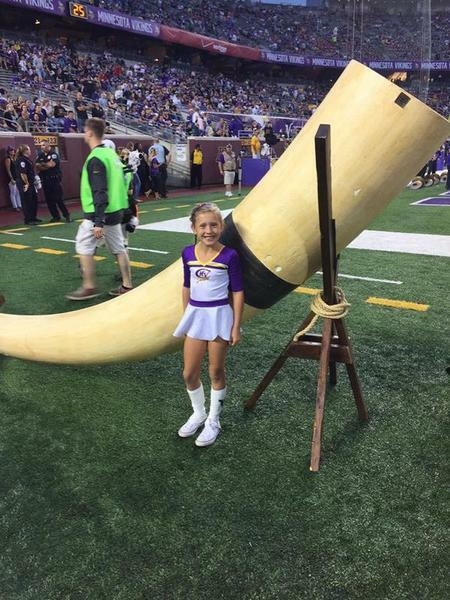 Early report card from Vikes game: Rudolph D (dropped pass); Wallace D- (really bad dropped pass); weather folks F. (Sold us bill of goods). 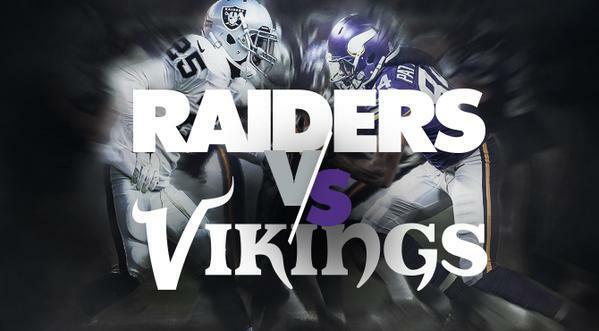 The #Vikings force a three-and-out and the Raiders will punt from their own end zone. The #Vikings convert a 4th down attempt and the drive will continue from the OAK 24-yard line. A #Vikings missed FG gives OAK the ball at their 25-yard line. #Vikings defensive starters back out after 3-and-out to start. Kendricks still at MLB. Carr goes after #Vikings ' safety blitz, leaving Newman alone vs. Amari Cooper. Cooper wins. The #Vikings are challenging the play on the field. The original play was a completed pass that would move OAK inside the #Vikings 10. 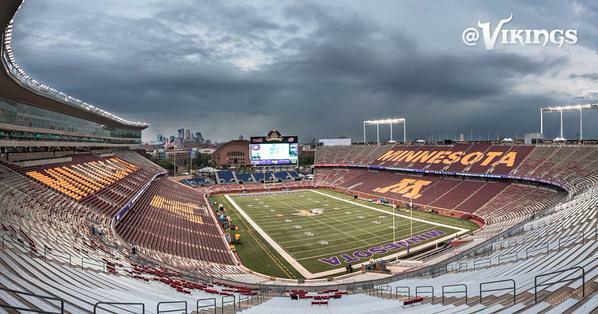 Weather update from TCF Bank Stadium: No rain, no lightning, but it is cloudy. Now back to the game. OAK has the ball on the #Vikings 8-yard line. You are only hurting the Vikings when you accept their decisions as gospel. Realize, you need to think about what's best for the team. OAK's kickoff goes out of bounds and the #Vikings will start at the 40-yard line.